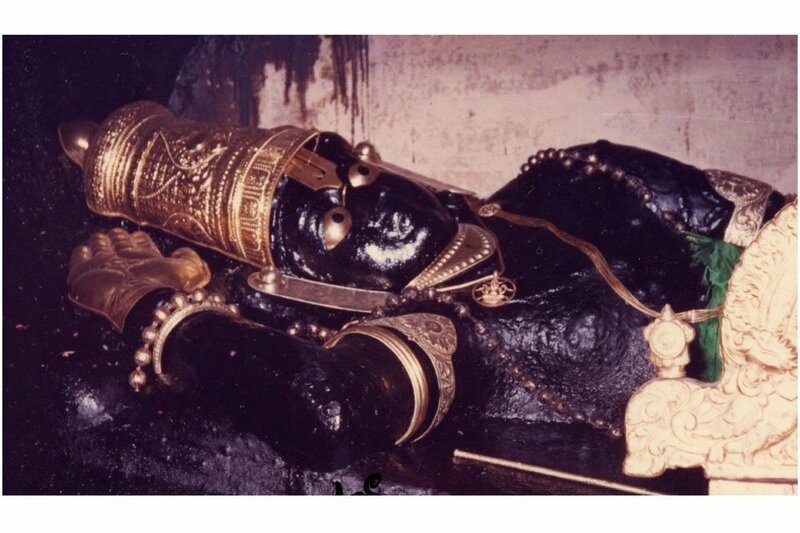 In Srirangam, there lived a great scholar and devotee called Parasara bhattar. He wrote an illuminating commentary on the Vishnu Sahasranama. He was having many disciples and he used to teach the different types of scriptures. Every day one pandit used to walk across his house with his numerous disciples. The pandit was very learned in the scriptures and adored by everyone. Parasara bhattar was not paying full attention to him and not talking to him much. At the same time, one poor brahmana who was a family man also used to walk by his house everyday. He was not the master of any scriptures nor sanskrit. He used to collect alms from every house in his brass vessel and take it as his daily food. While doing so, he used to chant the holy names and some slokas even incorrectly sometimes. Bhattar would eagerly go to him everyday and ask him about his welfare and converse with him. Bhattar’s disciples were puzzled by his behaviour. They asked him, “Guruji, You’re not talking to that great Pandit but you’re so much respecting that poor brahmana. He does not have any knowledge of scriptures not even a single sloka. Why is it so?”. Bhattar replied, “Please wait. You’ll understand this tomorrow”. The next day when the Pandit passed by, Bhattar invited him into his house and offered him seat and all respects. And then he asked him, “I’ve one small question please answer it. Paratattva naama kim? (Who is the Ultimate Reality and what is His name?)”. The pandit became nervous and said, “This is the same question for which I also don’t have an answer. I thought you will ask something else. After reading all the scriptures, I’m still very much confused about paratattva.” and left the place. After sometimes the brahmana came. Bhattar invited him into his house and the brahmana was embarassed that he is respected so much and nervous too. Bhattar asked the same question, “Who is the Paratattva?”. Immediately the brahmana became furious and threw the bowl of rice on the wall. He shouted at Bhattar, “I thought you’re a great scholar. But what are you teaching your disciples without knowing the Paratattva. 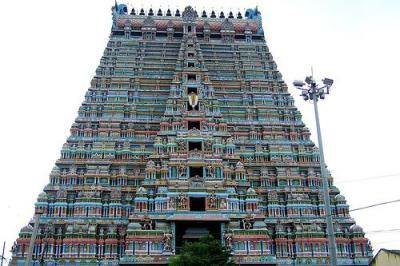 The Lord Ranganatha who is residing in this Srirangam temple is the Paratattva!” and left the place. Without His mercy, however great a scholar one may be he cannot understand the conclusion of the Vedas. “Being inquisitive about learning scriptures is good. However chanting should continue very seriously. Only by chanting our intelligence will become clear and we can understand the conclusion of the scriptures”. In the above story though the brahmana did not have the academical knowledge of scripture, but because of his sincere chanting he had the complete faith in the greatness of the Lord.